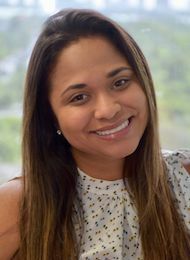 Gabriela comes to the firm with an extensive criminal defense background and serves as general support to all attorneys in the probate and litigation practice groups. Gabriela was born and raised in Miami, Florida. She continues to reside in Miami with her daughter. Her favorite pastime is spent with her family and friends, and especially her daughter creating endearing and everlasting memories. Gabriela is excited to be a part of Chepenik Trushin family and values the challenges and experience gained from working at the firm.